Personally I think that also the trans-species jump of more viral strains of the same family (Emerging Viruses), at a different pathogenicity and virulence, is part of a definite plan or intelligence of Virus–Nature. In 1975, the year preceding the first epidemics of other emerging viruses, Ebola in Zaire and Sudan, there had been the case of a young traveller who died of hemorrhagic fever at the hospital of Johannesburg. Marburg virus of the philovirus family was isolated in his blood. The travel partner of the victim and a nurse who had looked after the dying man developed the infection in a serious way but survived. In fact Marburg represents the benignest among the emerging philoviruses with 25% mortality among the infected people (the mortality of Ebola Sudan and Ebola Zaire is 50% and 90% respectively). Marburg is also the first virus to appear in the homonymous site of Federal Germany in 1967. Always in the same year there had been some more cases in Frankfurt and Belgrade. All the three epidemic focuses of emerging viruses were caused by a load of green Cercopithecuses coming from Uganda. 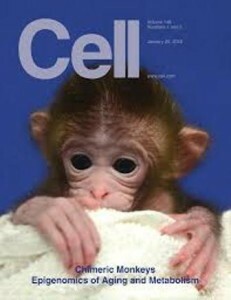 Those monkeys’ renal cells were used in private labs to prepare vaccines. Another Ebola strain appears at Reston in Virginia at only 15 kilometres from Washington in 1989. 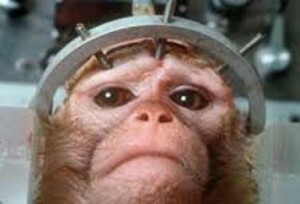 Suddenly an epidemic breaks out among the monkeys that Hazleton Research Products imported from the Philippines to be used in biomedical researches. 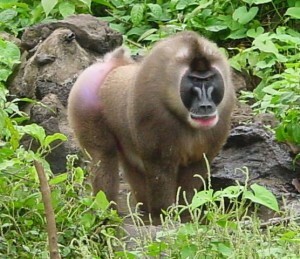 Mortality is very high and finally all the monkeys are euthanized. The researches, carried out on the tissues of the dead animals, reveal, at first, the presence of the Simian Hemorrhagic Fever Virus (S.H.F. ), but the cause of the epidemic is finally traced to a new Ebola strain called Reston after the name of the town where the plague of the monkeys had started. 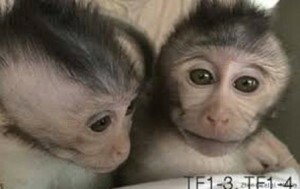 After inoculating three macaques of the same species of the ones which died in the epidemic (macaca fascicularis) with the Reston variant, two of tem died; yet not only the antigens of the virus but also the specific antibodies were found in their serum,that is to say there had been an immune response, even if a defective one. The Reston episode confirmed also the possibility that Ebolaviruses and particularly the Reston strain may be passed airways,through aerosol. In spite of the high infectivity the Reston variant showed so scarce a pathogenicity for man that four among the five workers in charge of the manipulation of the monkeys showed a seroconversion for Ebola, but nobody had got serious syntoms. 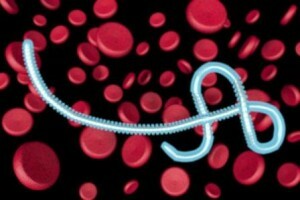 Therefore there are three strains at decreasing virulence in the family of philoviruses: Ebola-Zaire, Ebola-Sudan, Ebola Reston and Marburg, a close relative, at intermediate virulence. Infectivity, on the contrary, is greater in Reston compared with other strains. On comparing the different pathogenicity of the various philoviruses with the similar examples of HIV viruses and ornithosis ones, I think this variability in the virulence of a virus or viruses which are very similar one another, depends on a precise nature requirement. When we say every organism, among them even a virus according to our thesis, aims at surviving, probably it isn’t a question of the preservation of a single individual or a group of individuals (strains for viruses), but of a whole species (viral family). If at this point we hypothesize a world pandemia caused by emerging viruses like Ebola, with millions of dead people, it’s equally conceivable an evolution of the virus towards types at lower virulence. Besides, for the close links uniting the many species one another, it’s easy to think of an evolution of the host (man) towards types at higher resistance. If this shouldn’t happen there should be, in fact, the disappearance of both species (Philoviruses and Man). The present existence of strains at different pathogenicity means that the philovirus family already dispose of the means to make, if it should be necessary, the mechanism at negative retroaction work. What’s surprising is that this potentiality has already been active since the moment of the trans-species jump.Even there might be other philovirus strains at lower pathogenicity for man in Central Africa. This should explain the existence of a great deal of seropositive people owing to philoviruses among the population of that region.